As food sources become harder to find in the winter, birds go looking for berries, grain and seed at home feeders. Birds benefit from extra feeders in winter. Plan now for winter visitors. A male downy woodpecker visits a suet feeder. Learn more about how to lure birds to your feeders on this week's Discover Nature. 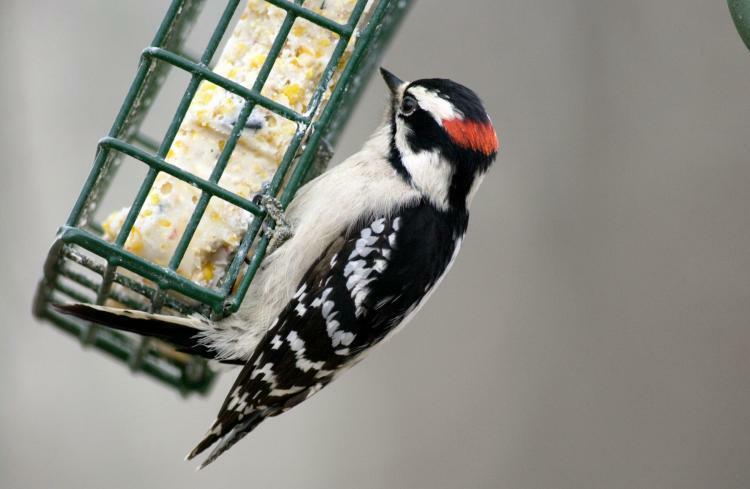 Late fall and early winter is an opportune time to see colorful birds in your yard. Dark-eyed juncos with their slate gray heads and backs and light colored bodies are often seen now at ground feeders. Cardinals and blue jays join them eating on the ground or on a platform. To increase the popularity of your feeding station, furnish water especially during drought or when the temperature stays below freezing for several days. The Carolina wren and the bluebird, Missouri's state bird, may be enticed to feeding stations during the winter if water is available. A good, basic food such as black oil sunflower seeds, cracked corn or millet, will attract numerous birds. Carolina Wrens love peanuts, suet mixtures, and peanut butter mixed with cornmeal. A collar around your feeding pole and shield at the top can stop squirrels from raiding your feeders. You may have heard that it's important to continue feeding once you start it. No research indicates that, during normal weather, birds will starve if feeding is stopped for a time. Birds often visit many feeding stations in a neighborhood. You will be amazed at how fast birds discover new feeding stations. Their natural curiosity and mobility ensure their success at making the rounds. Goldfinch and chickadees also will visit small, plastic feeders that are fixed to the outside of a window by a suction cup. Locate your feeding station outside a room where you can relax and enjoy the visitors. With their new winter suits, this time of year is one of the most colorful seasons to see birds at your feeders. The white-tailed deer grabs our attention in November, perhaps more than any other animal except the thanksgiving turkey. White-Tailed Deer are breeding now. Watch for bucks trying to attract does. Learn more on this week's Discover Nature. This week on Discover Nature, watch and listen for migrating waterfowl. 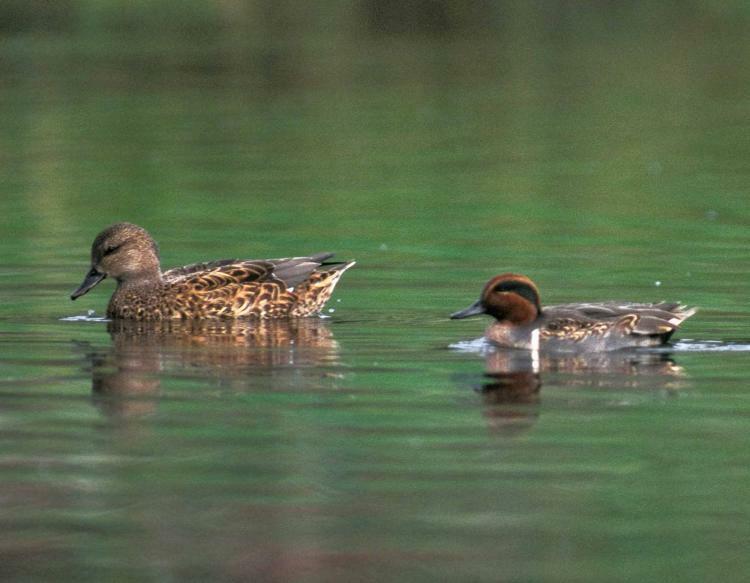 Numbers of waterfowl migrating through Missouri are peaking now. Learn more on this week's Discover Nature. 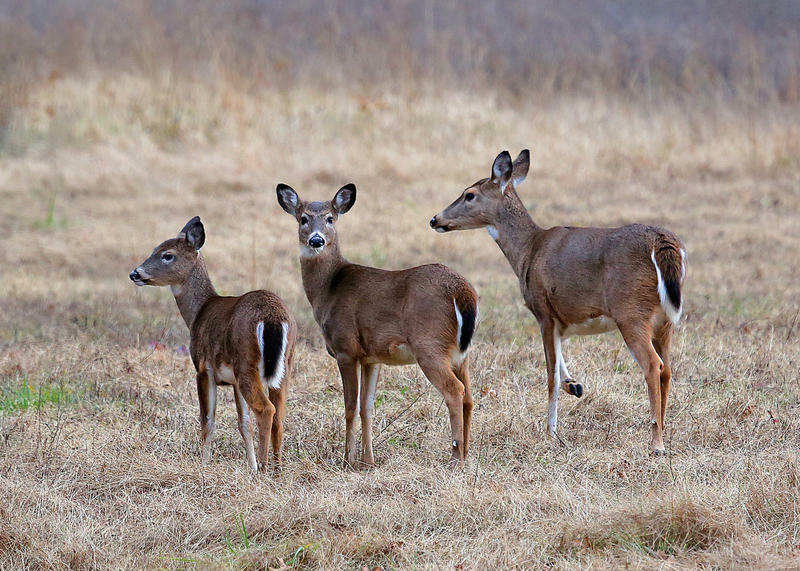 Can you name a common Missouri animal that is also one of the least visible? This week on Discover Nature we learn more about beavers. 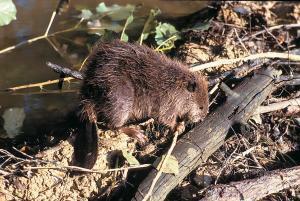 Beavers are active now along Missouri waterways. Learn more about their habits on this week's Discover Nature.